Have you ever started a book which you were really looking forward to reading, expecting it to be really good, and gradually been let down, realising that actually you weren’t enjoying it very much? Optimistic, you continue, hoping it will pick up… sometimes it does, a bit, but it never actually matches your original expectations. And perhaps, like me, for various reasons you’re reluctant to just give up. It’s happening to me a little more frequently nowadays, and has got me thinking. I’m always quite sceptical of reviews, especially those that rave about how brilliant a particular book is. Perversely, perhaps, the more fashionable, trendy or popular a book seems, the more suspicious I am of it. When I consider what’s happened, I’m often struck by the thinness of the plot – too drawn-out and self-indulgent, even: a story that takes too long to get not very far, and after having really enjoyed a previous novel, I’ve thought, ‘well, I’ll try this, it should be good’, and it’s not. Are writers doing a Dickens, and writing by the yard because they need the money? 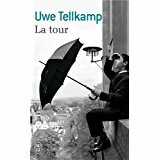 My current disappointment – I’ll write a proper review when I get to the end – and what’s prompted this post is The Tower, by Uwe Tellkamp. It’s a novel about the complications and frustrations of life in the former DDR (German Democratic Republic), set in Dresden among a relatively privileged group of families. So far, in 400 of 1400 pages (!) there have been some interesting glimpses of daily life, a sense of menace from the ever-present Stasi, and a lot of tedium reading about a group of people for whom I do not really care. I shall persevere, though I currently feel victim of my enthusiasm for books that do not seem likely to get translated into English. This one will be no great loss, on current showing. It strikes me that I’ve become harder to please as I’ve grown older, and perhaps a little more conservative in my tastes. I used to read a good deal of experimental literature, including some quite weird stuff, and really enjoyed it. But then, I have recently enjoyed Ben Marcus and Laszlo Krasznahorkai, and they are hardly run-of-the-mill writers. Maybe one has less patience as one ages?